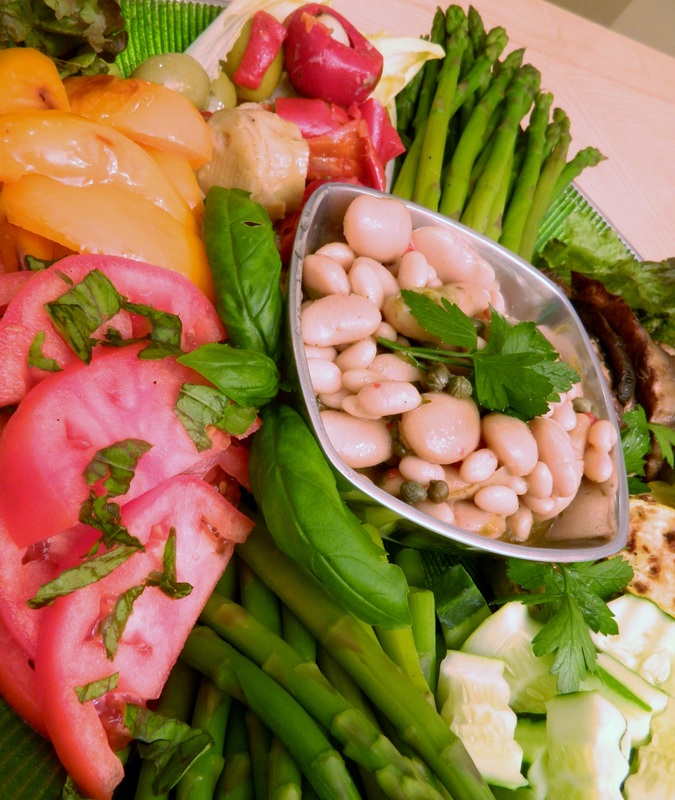 Summer is time for the garden’s bounty, so why not put out a platter and enjoy fresh vegetables for dinner? Have them alone or with some grilled meat or fish. Here I used a variety of fresh vegetables, some I lightly seared in olive oil and seasoned simply with salt and fresh pepper. I added a few deli items such as stuffed Peppadews with artichokes, marinated beans, pickled mushrooms and olives. Lay it all out on leaf lettuce and endive. Add some fresh mozzarella if you like. Pass around some vinaigrette dressing and everyone enjoys a fresh salad. Peppadew® is the brand name of sweet piquanté peppers grown in the Limpopo province of South Africa. 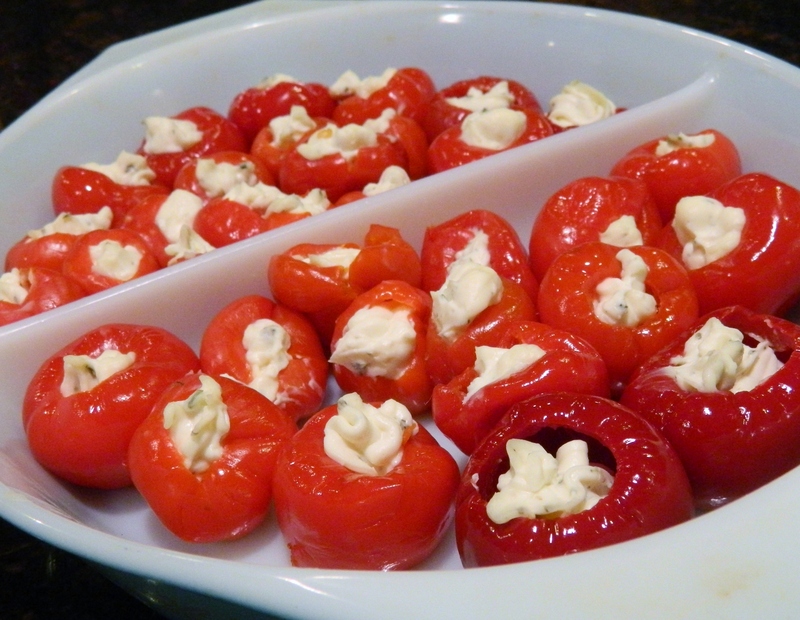 My first encounter with Peppadews was at Mark and Melanie’s Christmas Cocktail Party where she served them stuffed with Boursin cheese. Its piquant taste with the coolness of the cheese was the perfect combination. I was so inspired that I wrote Ring in the New with Peppadew. When I posted the recipe for Peppadew and Boursin, it caught the attention of Pierre Crawley, representative of Peppadew® Fresh — The North America Culinary & Educational Center for Peppedew® Fruit. Peppedew Fresh Farms, located in scenic Morganville, New Jersey, is licensed by Peppadew® International, South Africa, and was established to educate U.S. consumers, chefs and retailers about the Peppadew® fruit, its story, flavor, and unique applications. Thus, the pull of Pierre Peppadew. The thought of receiving Pierre’s Peppadews was all the encouragement I needed to plan a day in the test kitchen. Of course I had to enlist a willing friend and excellent cook, Melanie, who first introduced me to this little wonder. Bring ‘em on, Pierre! 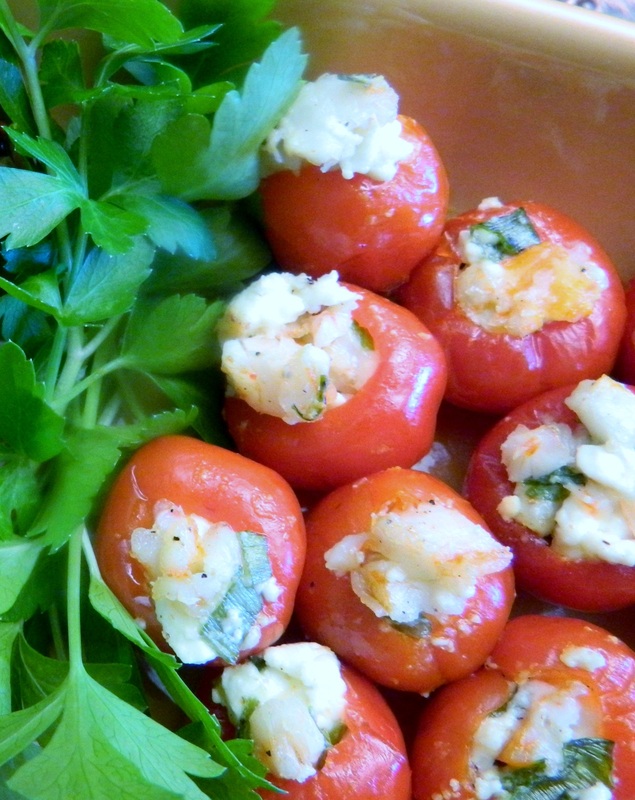 Pierre’s Peppadews® have a certain je ne sais quoi. The box arrived and their aroma was everywhere — the box, the packing, and the jars. Le juice de Peppadew is a pungent appetizing aroma that until you experience yourself, you’ll never know how wonderful it is. 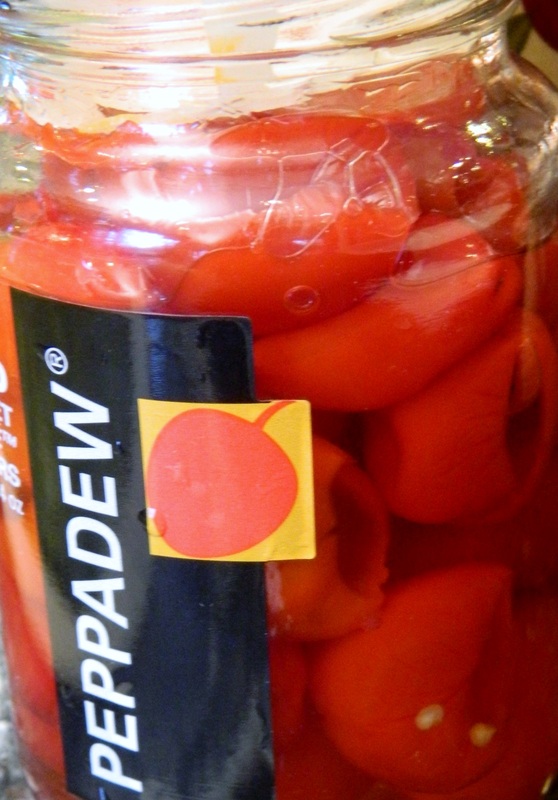 Hint: Don’t discard the brine after you finish the Peppadews. You will find many uses for it. Instead of vinegar, I used the juice with olive oil for a simple salad dressing for dinner tonight. 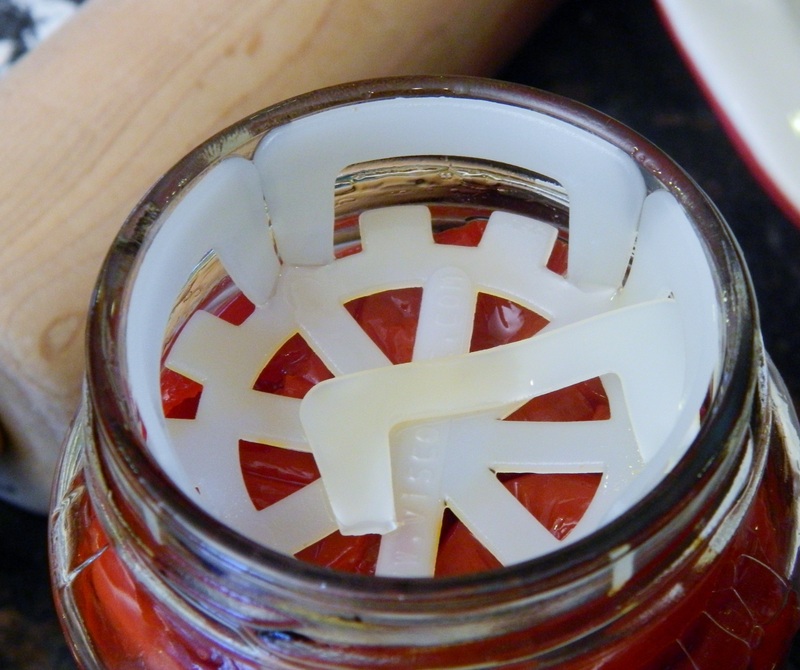 When we opened the jars, they were packed securely with a plastic ViscoDisc™ to hold them in place. Upon seeing the meticulous packing, we knew these were no ordinary jarred peppers. They traveled a long, safe journey to get to us. We decided to open the test kitchen on Super Bowl Sunday. Our husbands were out of town and our kids were running around the neighborhood trying to decide where they would watch the Giants vs. Patriots. Melanie and I were in the test kitchen with Pierre’s Peppadews and we weren’t budging until we mastered them. After five hours in the kitchen, feeling accomplished, we plopped down with our forks and a bottle of Pinot Grigio and tasted the fruits of our labor. AWESOME…one bite was as good as the next. When you start with a Peppadew and give it the attention it deserves, it’s a win-win (yes, the peppadews win too). All our recipes are our creations except the one from Peppadew Fresh. We challenged ourselves to see if we could come up with anything new even though Chef Monica had hundreds she created in the Peppadew Fresh test kitchen. 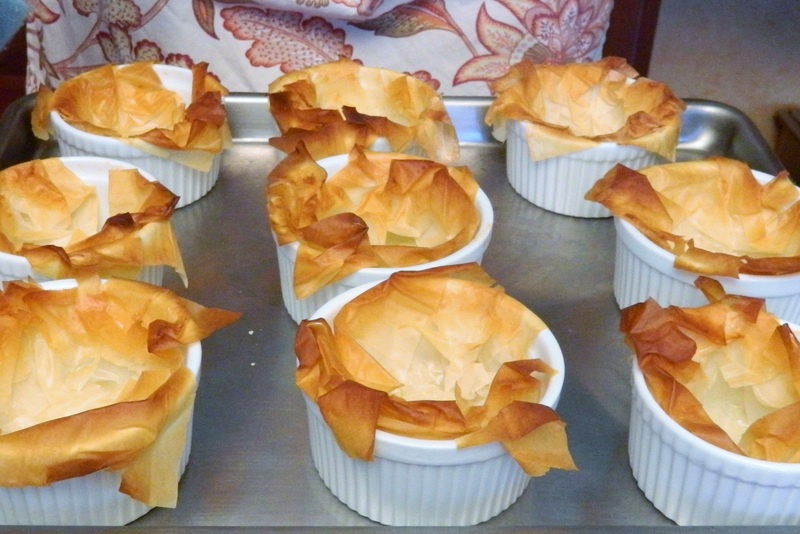 I’ll start with one recipe here and in subsequent blogs, you will have the rest. Let dough thaw overnight in refrigerator. 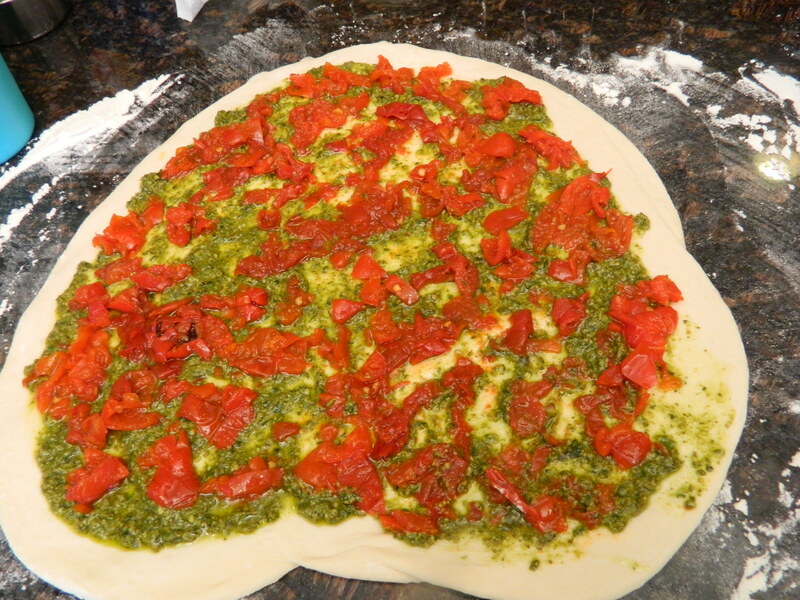 Spread pesto over the dough. 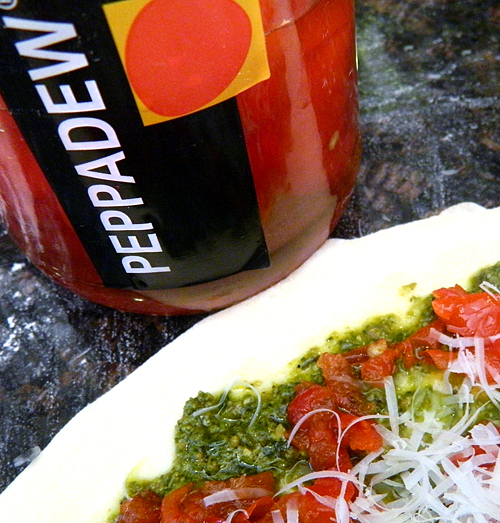 Sprinkle the chopped Peppadews over the basil and sprinkle with the Asiago cheese. 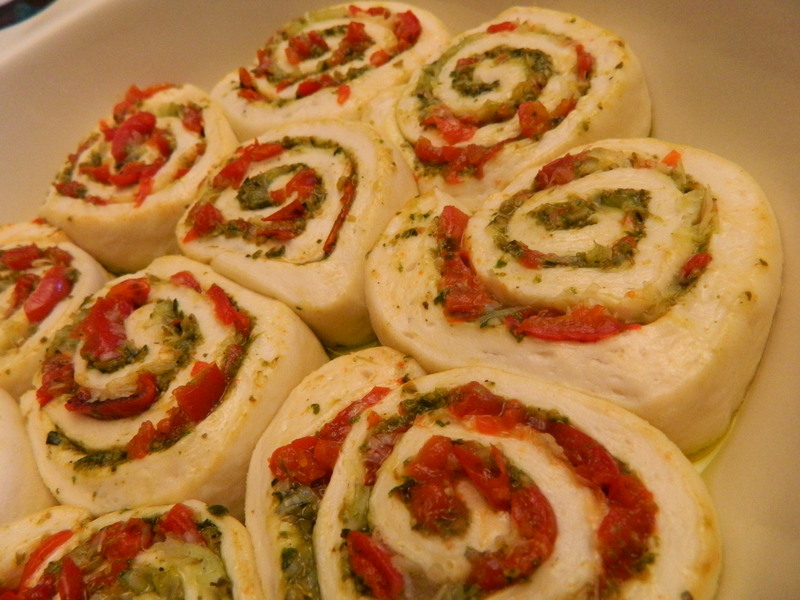 Roll dough, top with pesto and peppadews. 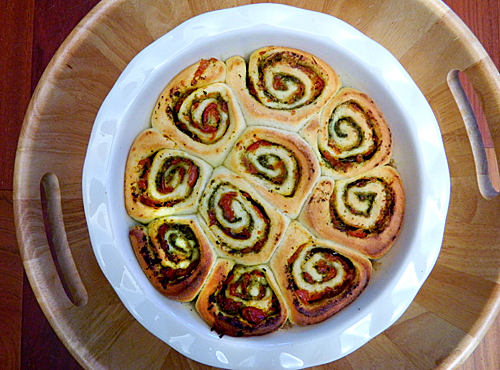 Roll dough lengthwise jelly-roll style. Slice the rolled-up dough with a serrated knife into one-inch thick slices. Use a microplane grater for the Asiago cheese. Spray a baking dish with cooking spray. Put rolls in pan, cover with a cloth and let rise for about a half hour. When doubled in size, bake at 375 degrees for 25 minutes. Hint: Make your own pesto but if you don’t have time or inclination, there are a few store-bought brands that are fresh and delicious. I used Kirkland Ciba Naturals™. Hint: Melanie suggested an alternative would be to use mozzarella cheese, which would give the melting-pulling cheese effect. 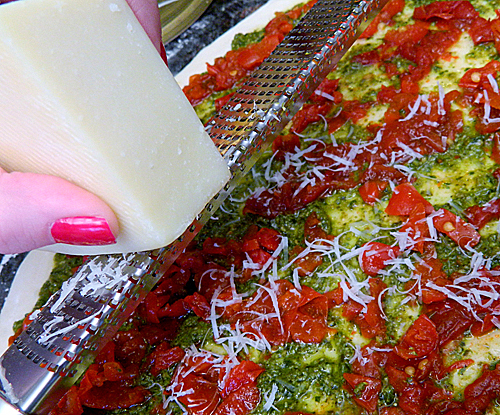 Hint: Melanie uses a microplane grater to grate the cheese with ease. Let the pinwheels rise for one-half hour before baking. Five-Star Rating! The Peppadew flavor held up with the strong pesto flavor. We thought these would be good served with a salad of any kind. Melanie’s teenage son and his friend popped in the kitchen to finish them off. “Excellent!” they exclaimed and dashed off to watch the Super Bowl with their pizza and nachos! Are you looking for something new? 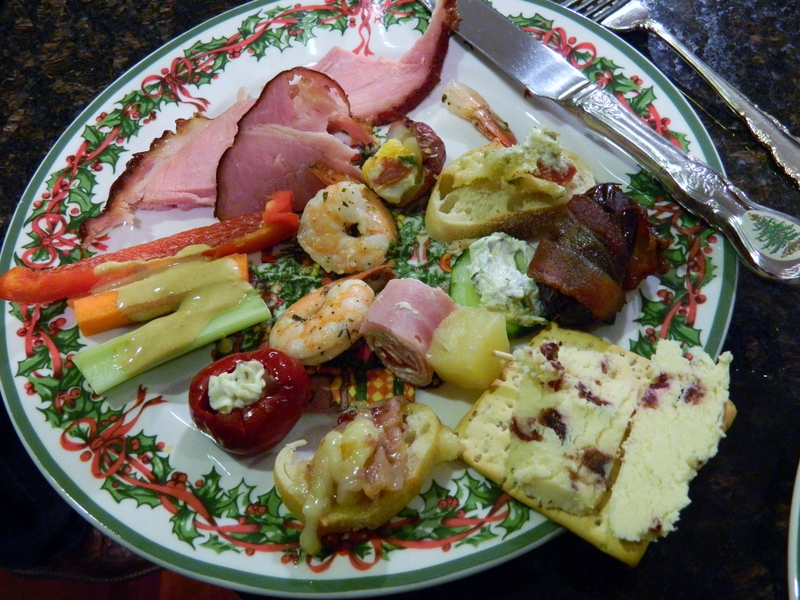 I just had these red gems for the first time at Mark and Melanie Poirier’s Christmas Cocktail Party held annually on the Saturday evening before Christmas. 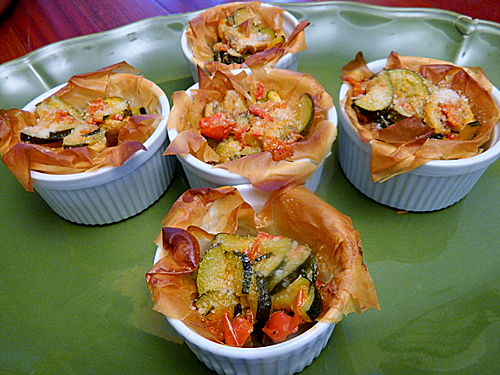 These are so easy there is time to make them for New Year’s Eve. Dress: our hosts don’t specify but guests come in anything from business casual to black tie. Outcome: You always see people you know or haven’t seen since the last party. Plus you always meet someone new. It’s just plain civilized-cocktail-party fun…and with two Christmas trees…festive to the max. Melanie handles the menu, her staff, and welcomes guests along with husband Mark. Talk about hospitality! Melanie handles the menu which is rich in variety and taste. 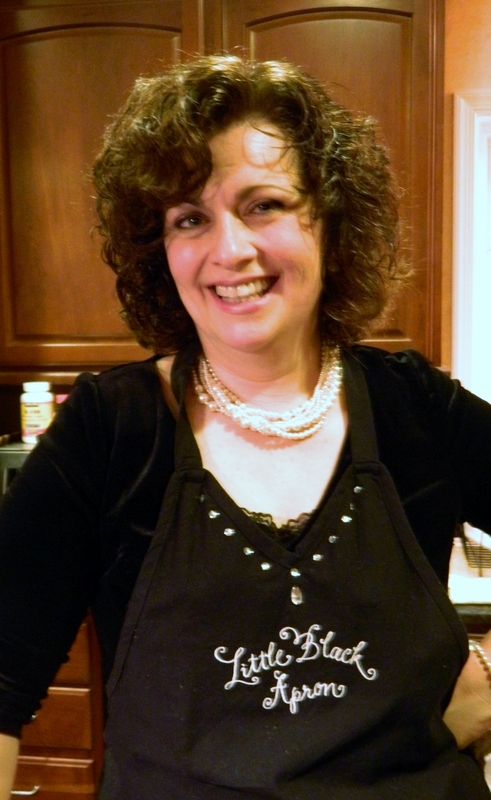 From sweet to savory, she orchestrates a menu that pairs perfectly with cocktails. Mark sets up a self-serve, full bar but stands by to greet and assist guests with their libation choices. And why hire any serving help when you have five capable children bred with hospitality? With two in college, two in high school, and one in sixth grade, Mark and Melanie have plenty of good help. From answering the door and checking coats to keeping food trays filled and mingling perfectly with guests, this party is well staffed by the fearless five. The peppadews are only one of the delectables on the menu. Their party is Hospitality from A to Z and really deserves its own blog. Note that for next year. 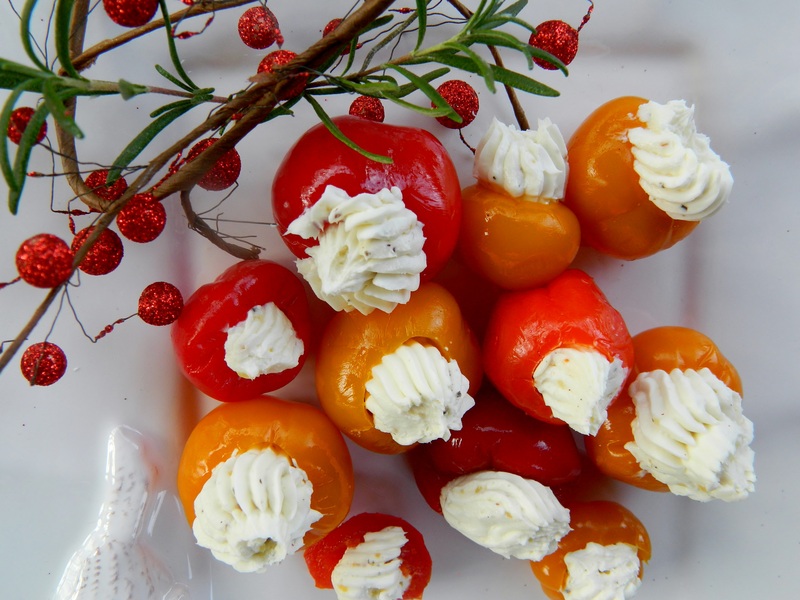 For now, I’ll share the wonders of peppadew with you so you can make them for New Year’s. Can you find the peppadew on my cocktail party plate? Peppadew is the brand name of sweet piquanté peppers. You can buy these from fresh olive bars in most grocery stores or in jars. 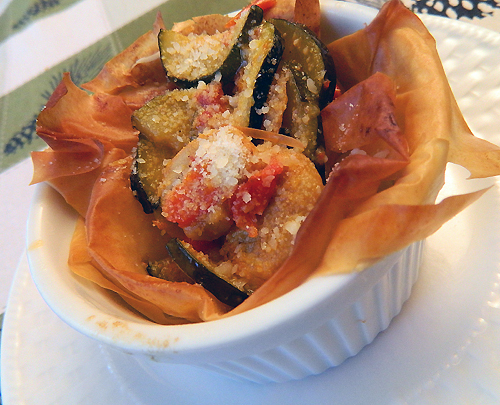 This recipe originates with Melanie’s mom who stuffs it with homemade Boursin cheese. You can stuff with anything you like—cream cheese or store-bought Boursin. But I can attest to this recipe. I ate it, loved it, and am making it for New Year’s Eve. Maybe you will too. Let me know. Buy peppadews and stuff them with Boursin—so easy and so good. Combine all ingredients (this can be done in a food processor with steel blade) and blend thoroughly. Taste for flavor and seasonings. 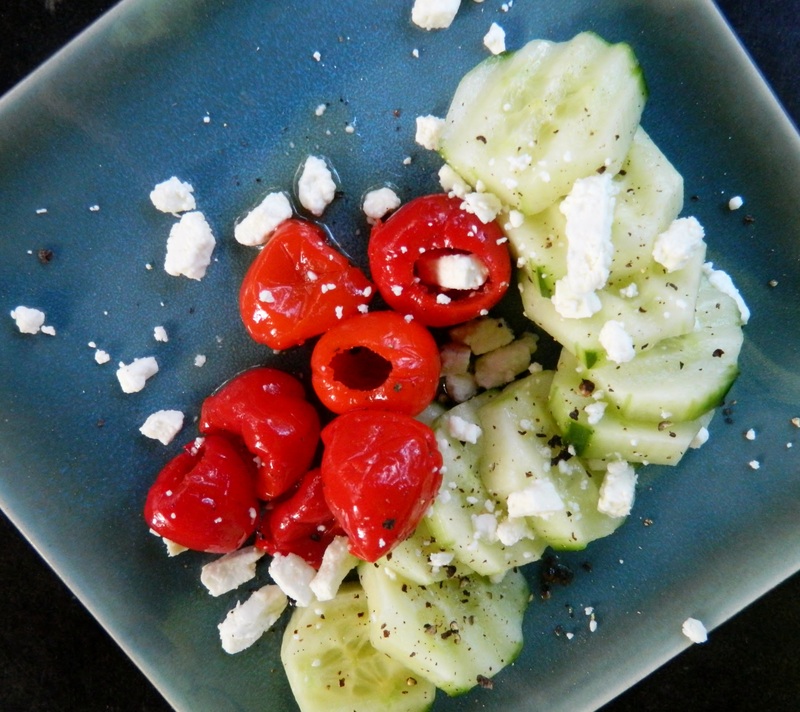 The cheese may be shaped into a ball and rolled in crushed red pepper or stuffed into a peppadew. Refrigerate overnight before serving. The Boursin cheese balls can also be frozen.